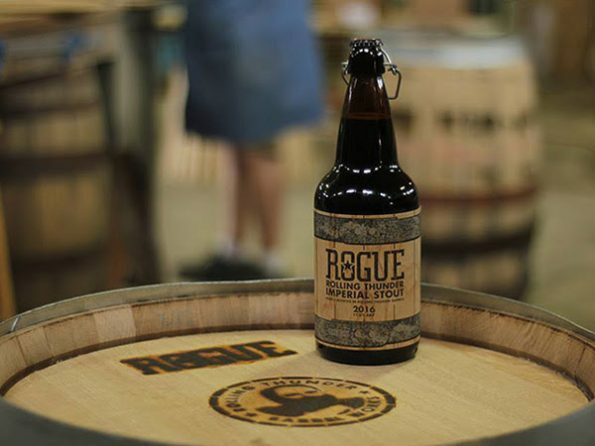 Rogue Ales & Spirits announces the release of 2016 Rolling Thunder Imperial Stout, its first-ever beer aged in barrels made at Rogue’s cooperage. Brewed with ingredients grown at Rogue Farms and ocean aged in whiskey-soaked handmade barrels, Rolling Thunder Imperial Stout is the end of a long journey from ground to glass and barrel to bottle. The Barrel to Bottle journey has been a long one, but it has been worth the wait.